The C-Space Project recently unveiled its Mars Base set in the Gobi Desert, leaving many curious about its objectives. The C-Space Project, where the C stands for Community, Culture and Creativity, is an education facility for Chinese teenagers. It will teach them about space exploration and living on Mars. It plans to open to the public worldwide while aiming for the same objective. The Mars Base allows visitors to understand what it is like to live in closed quarters where every aspect of daily life must be controlled with very limited resources. Water needs to be salvaged and recycled down to the last drop. Food sustenance needs to contain high protein to keep the base's occupants fed and in shape. And taking a walk outside means putting a space suit on and going through the pressurizing cabin. 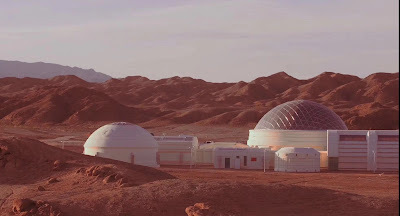 The Mars Base occupies a massive 11,996 square feet in the Gobi Desert, a location meant to re-create as much as possible the current state of the far planet thanks to its harsh climate and sandstorms. 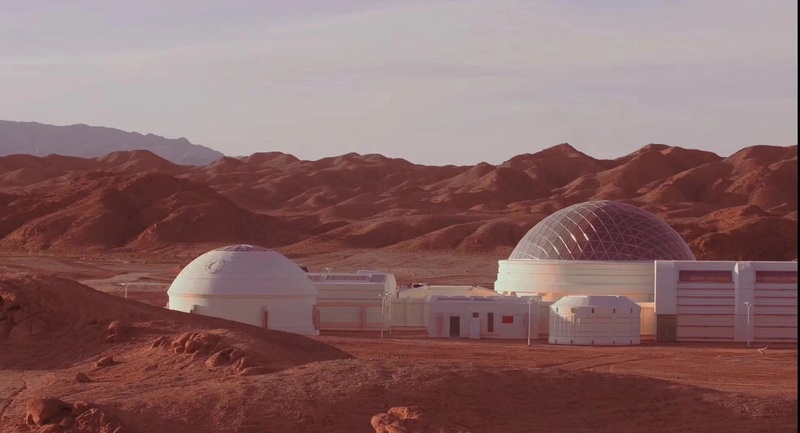 Situated 40km from the small town Jinchang, in the Gansu Province, the Mars Base not only simulates the outside living conditions Mars explorers must deal with but also what's inside their living environment. It hosts 9 capsules including a Control Room, a Recycling Unit, an Airlock Room, Storage, a Bio-Module, Medical Facilities, Living Quarters, Bathroom, and an Entertainment & Fitness Room to keep its inhabitants active. To bring this project to life, the ACC (Astronauts Center of China) and CICC (China Intercontinental Communication Center) were heavily involved to deliver state of the art technology and knowledge to make it a real Mars Base. Following its completion, a TV Reality show team was allowed to the Base and 6 volunteers including 5 Chinese celebrities were the first to experience life on Mars after receiving astronaut's training. The show has had a huge impact on the audience since it's airing on the online Chinese video platform, which has met the expectation of the Project's initiators, who aim to bring awareness of China's tremendous development in aerospace to the general public, to make space a more popular subject to the general public, to inspire and to encourage exploration. The base will become China's first cultural and tourist experience based on space education, Mars-themed tourism and scientific research.